Sometimes watching a film on the big screen is the only way to do justice to some of the wonderful blockbusters that are released. However, as movie tickets don't come cheap, so the prudent thing to do is seek out special discounts so that your trip to the cinema doesn't break the budget. Every Tuesday, all day everyday, you can get discounted cinema tickets for all films at Hoyts cinemas with discounts also available for 3D movies. Prices vary dependent upon your cinema (and location), but there's a generous saving of typically over $5 per ticket (check with your specific cinema on the offer). If you'd like to find out what's on at your local cinema, check out the listings here. 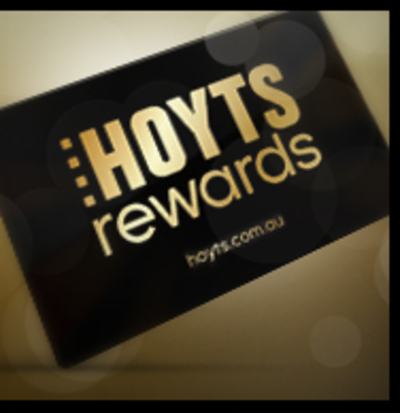 If you've enjoyed your cinema experience at Hoyts then you should definitely sign up to their reward program to reap a great array of benefits. Hoyts members enjoy $11 movies of the week tickets every week in addition to being able to tally up points to put towards free movie tickets. You pay a a $12 joining fee, but this gives you a free movie ticket upon joining. You'll also find out about special offers and events that occur throughout the year. To join the program, just click here.